An ERDF-funded project is seeking to restore over 500 years’ worth of poorly preserved Maltese notarial documents that are now at risk of being lost forever. In Malta, the Notarial Archives Foundation has been working on what is estimated to be up to two kilometres worth of stacked documents since the country’s notarial archives were found in an appalling state in 2008. Manuscripts and documents had been stacked carelessly on top of each other and found to be covered in dust and riddled with woodworm. The archives date back to the Order of the Knights of St John, with the oldest document found dating back to as early as 1431 – older than the discovery of America. The documents shed light on various aspects of Maltese life over the last 500 years, including accounts of cargo ships carrying everything from livestock to human beings. As well as log books and legal papers, some intimate letters are also stored in the archives, detailing the lives of wealthy corsairs, explorers and traders who sailed the globe. 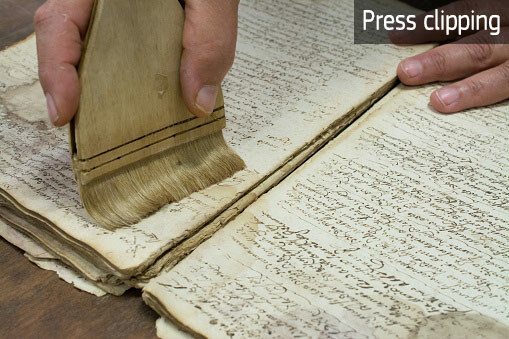 In a bid to save these precious archives, the ERDF is funding a EUR 5 000 000 project to restore the notarial records.